Our cloud solutions and services are focused on helping organizations improve their agility, foster collaborations and ensure business continuity. Adventus Infrastructure as a Service offers enterprises highly customizable, secure, flexible and robust cloud infrastructure that is fully managed with enterprise class support. Built with award winning technologies and housed in world-class data centres, Adventus Infrastructure as a Service is an ideal solution for enterprises seeking to deliver applications and services reliably from the cloud. Our subscription based model helps enterprises speed up technology adoption, lowers capital expenditures and reduce costs. 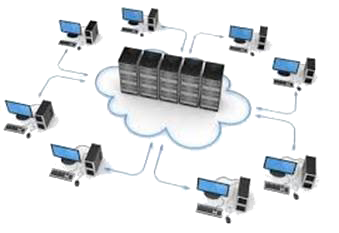 A sound business continuity plan necessitates the backup of your business data to a secondary location. If you do not have a secondary data centre or the critical mass to operate one cost effectively, Adventus Cloud Backup is the perfect solution for you. Adventus Cloud Backup offers enterprises the ability to backup business data and systems directly to Adventus SmartCloud over the internet securely and expediently. Integration with your local backup solution is simple and seamless, data replication is exceptionally efficient and fast while security is enforced at the highest levels. 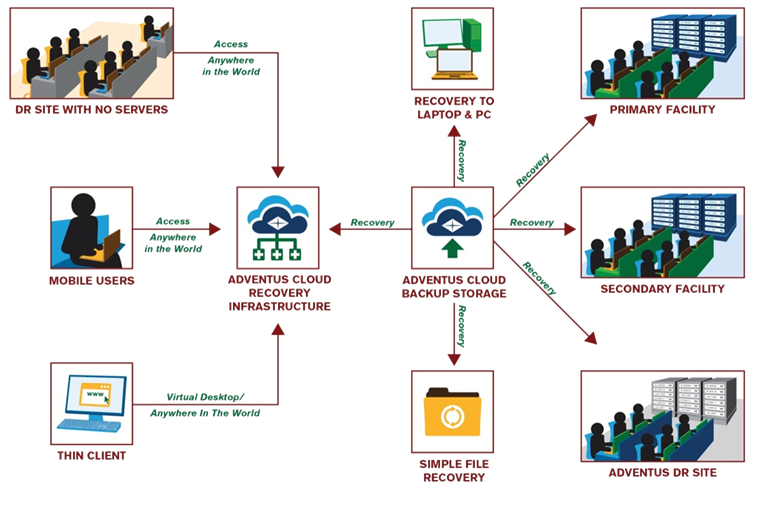 Adventus Cloud Disaster Recovery Infrastructure or Disaster Recovery as a Service (DRaaS) offers highly secure, scalable, available and durable; off premise, cloud based disaster recovery infrastructure for businesses. Our solutions allow your IT workloads on virtual or physical environments to be replicated to our advanced cloud infrastructure. In the event of a major disaster, no matter where you are in the world, our solutions allow you to easily and securely connect to our cloud infrastructure and get back in business quickly and reliably. 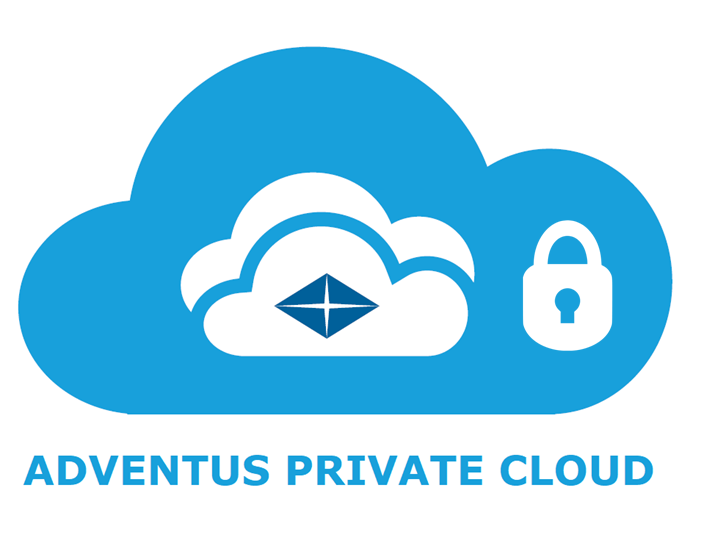 Adventus private cloud solutions provide organizations with isolated and secure computing environments that are highly customizable for any application. Leveraging matured, proven and trusted enterprise-class technologies and strategic partnerships with global telecommunications companies, we have built a world class private cloud infrastructure that could be provisioned quickly and securely. Combined with our impeccable managed services offerings, our solutions enable our clients to run their workloads and applications without having to worry about maintenance, scalability and performance.